Valentines Day is right around the corner and I’m dedicating this post to all the fella’s out there needing help with their Valentines plans. With the Missus being the one bringing home the vegan bacon, its up to me to bring the romance on Valentines, so I have some experience in the area. Fortunately for me, the wife has had a favorite Valentines treat for the 12 years we’ve been together and it makes life easy. All she wants on Valentines Day is spicy hot italian sausage. Not just any spicy hot italian sausage mind you, but my spicy hot italian sausage. What makes my spicy hot italian sausage so special? It’s the perfect size, long & thick, and firm yet pliable, more than filling without leaving one feeling overstuffed. Being from southern Italy, my spicy hot italian sausage has a touch of boerewors in it, giving it some extra flava’. Fitting perfectly in the mouth, women love the texture on their tongues and the way the warm gooey sauce hits the back of their throats as they bite down. But you’re sayin’ “Felipe, I don’t have a spicy hot italian sausage!” Fear not my testosterone addled brothers, whether you have a bratwurst, a banger or chorizo, the truth is most of our better halves will love the sausage you have for them. Well except for cocktail wieners. Not that women can’t love them, it just takes a special woman to live solely with cocktail wieners. If that’s all you have, you could experiment with other sausages, though you might want to be careful with the boerewors sausage from South Africa. Legend says women that have tried it have had a hard time enjoying any other types of sausages after that experience. Wow writing this post has made me mmmmm……..hungry………very hungry. I hear the woman comin’ in and she’ll be looking for her spicy hot italian sausage. She’s has that ravenous look in her eyes, I’m gonna have to supersize it. Better get cookin’. 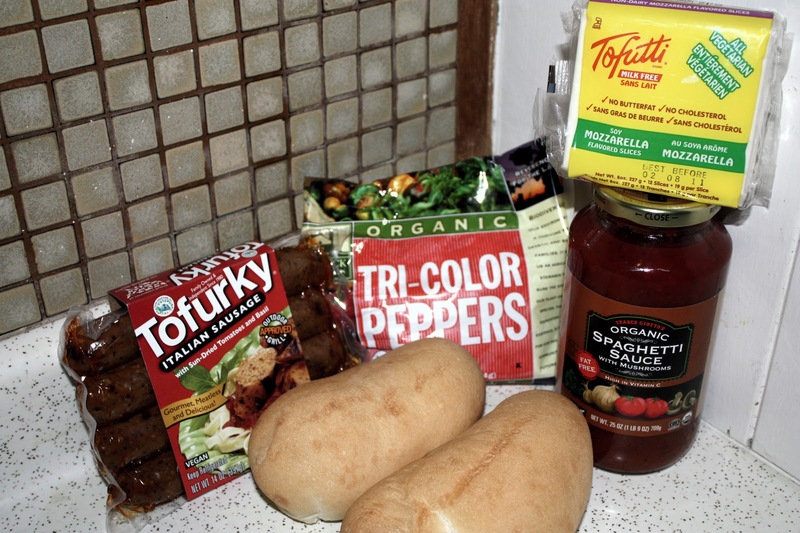 yeah baby let’s get cookin’.……………..
Preheat broiler while heating sausages, peppers and tomato sauce in a skillet. 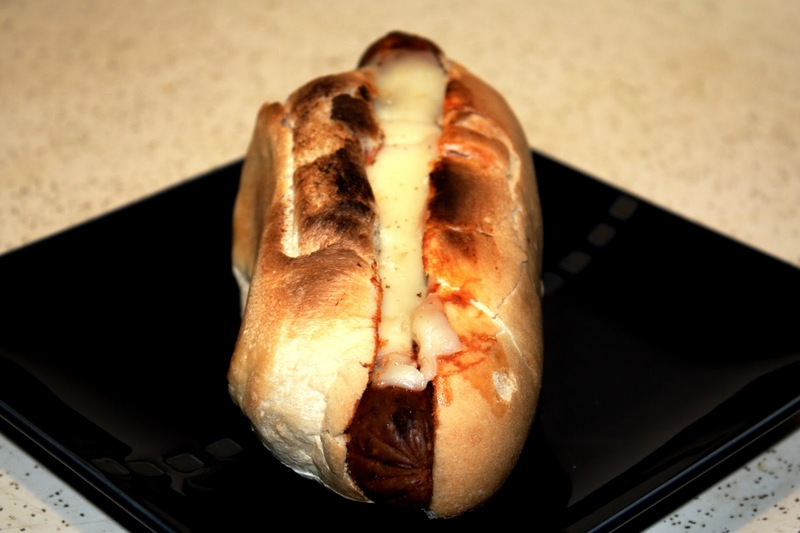 When warm, layer sausages, peppers and sauce into a split hogie roll. Cover sausage/peppers with Tofutti slices, broil until the ‘cheese’ has melted. Gallery | This entry was posted in Felipe's corner. Bookmark the permalink. 1 Response to Nothing Says Valentines Like…………..